Your collection of bottles, teats, dummies, washable toys and baby utensils is probably growing by the day. 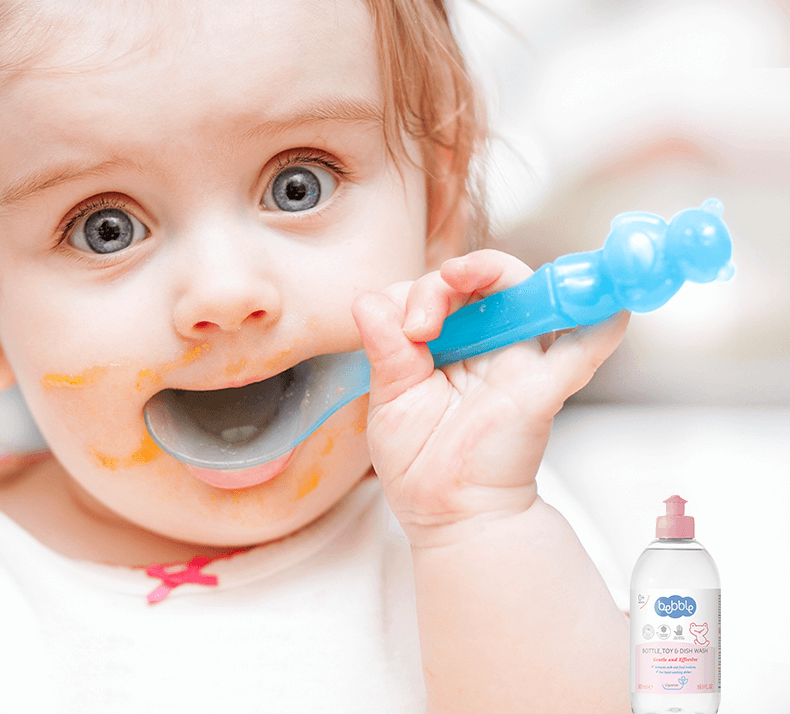 During your daily eat, play and sleep routine they’ll all find their way to your baby’s mouth, so you’ll want to keep them clean and ready for use. 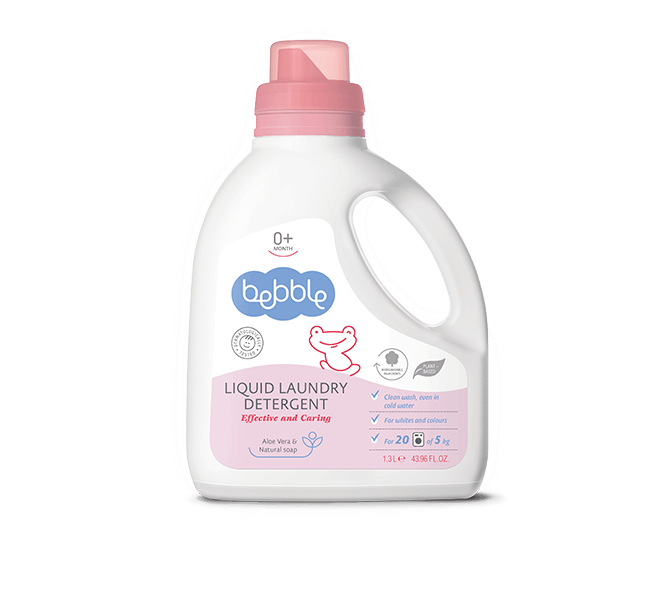 Bebble lends a hand with an effective washing liquid that quickly cleans all traces of food and milk. 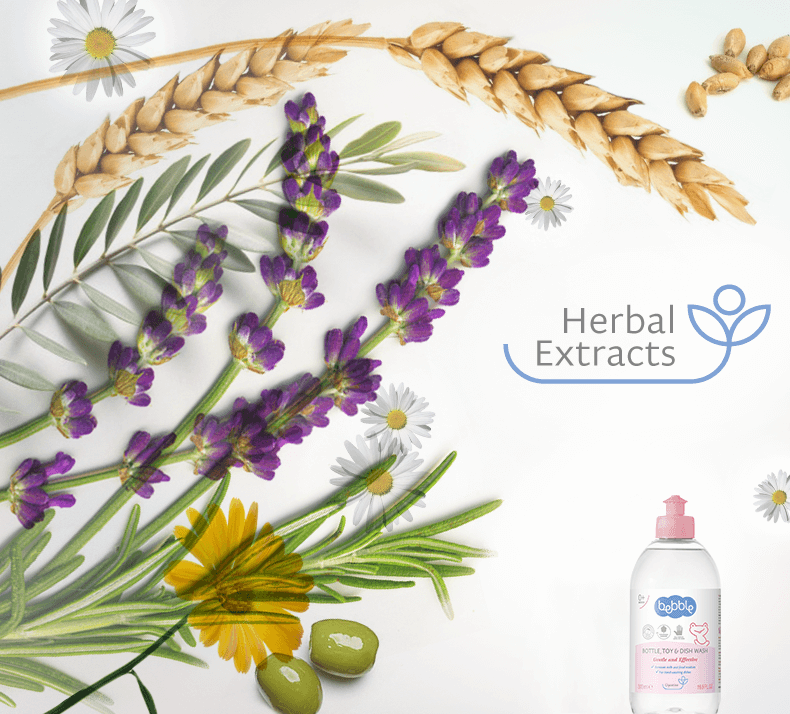 Its formula is based on active ingredients that are completely water-soluble, and does not contain added colouring agents. So you rest assured that, after rinsing, no chemical traces are left on your baby’s dishes and toys. Uncompromisingly effective in removing food residues, yet gentle on the hands; Bebble’s special dishwashing formula contains added glycerine to help soften and moisturise your skin. Wash baby bottles, toys and utensils with 2-3 ml of Bebble dishwashing liquid added to 1 litre of warm water. Heavily soiled dishes or dried-up milk or food can first be soaked in the same solution. Rinse well with clean water after washing. Buy a soft sponge or special dishwashing brush that you use only for your baby’s accessories. Glycerine is known in cosmetics for its ability to retain moisture in the top layer of the skin. Glycerine is a by-product of the production of soap. It is completely harmless for the body, and has a calming effect on the skin. It stimulates regeneration of the skin, leaving it fresh, soft and smooth.